﻿ How to choose one saltwater fly reel? 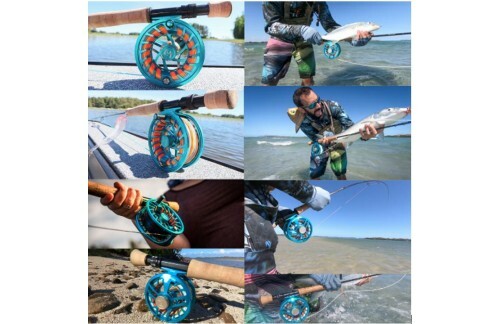 How to Choose One Saltwater Fly Reel? As we all know, a good tackles will help us get much fun during fly fishing. And some anglers always like to chasing more bigger fish like super large salmon and tarpon. How to choose saltwater fly reel without breaking by the large size fish? 1. You need to check the break for the waterproof reel. Is there any Saltwater fly reel can fulfill all the request? I recommend Sparta reel. The sparta saltwater fly reel has 3-point sealed drag system fully saltwater safe. Japan design teflon coating that can prevent rust and flaking paint.captivated, quick release spool can give you fluently use during fly fishing. most importantly it’s heavy duty saltwater fly reel, industrial leading stopping power of 30lb is generated by multi carbon brake system. If you want to have a wonderful saltwater fly reel, Sparta will not let you down.